Every Autumn I visit this location along Glacier Creek. 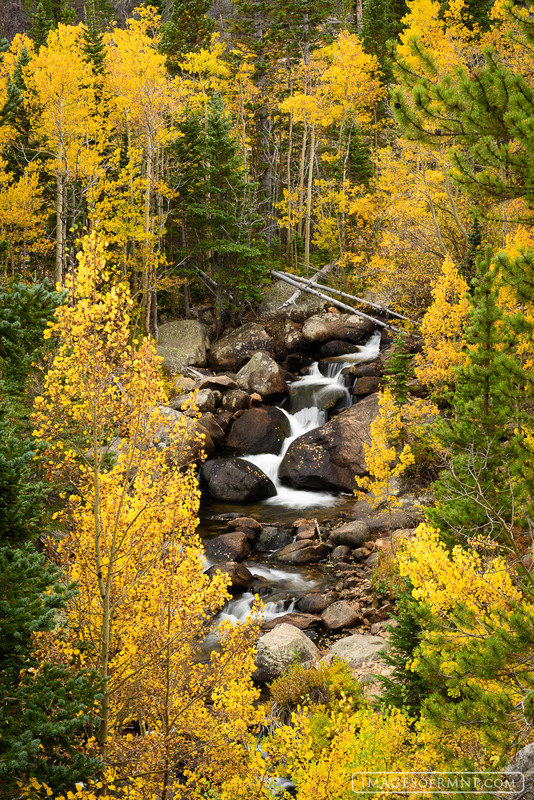 A wonderful mixture of aspen and pine trees beautifully frame part of the cascading stream. Many years the conditions are just not right, but this year things were nearly perfect. I found it hard to stop taking photos even when I knew I had the image I wanted. Photo © copyright by Erik Stensland.